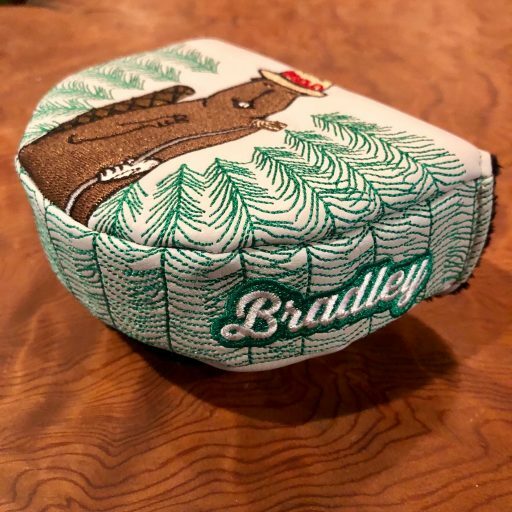 The quintessential Bradley head cover. 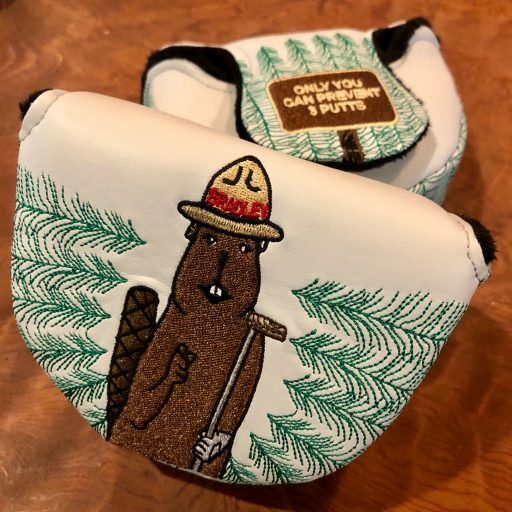 Does it get any cooler than this?!? 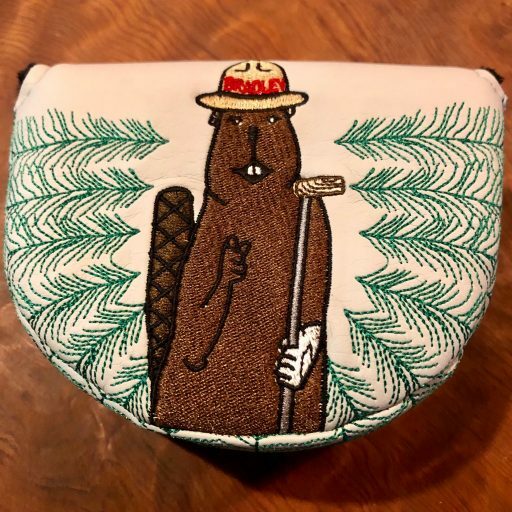 The National forest signage, the evergreen trees, and Bradley the Beaver tie this putter cover together into the perfect package that absolutely captures the spirit of this company. 4″ wide, 3″ deep. 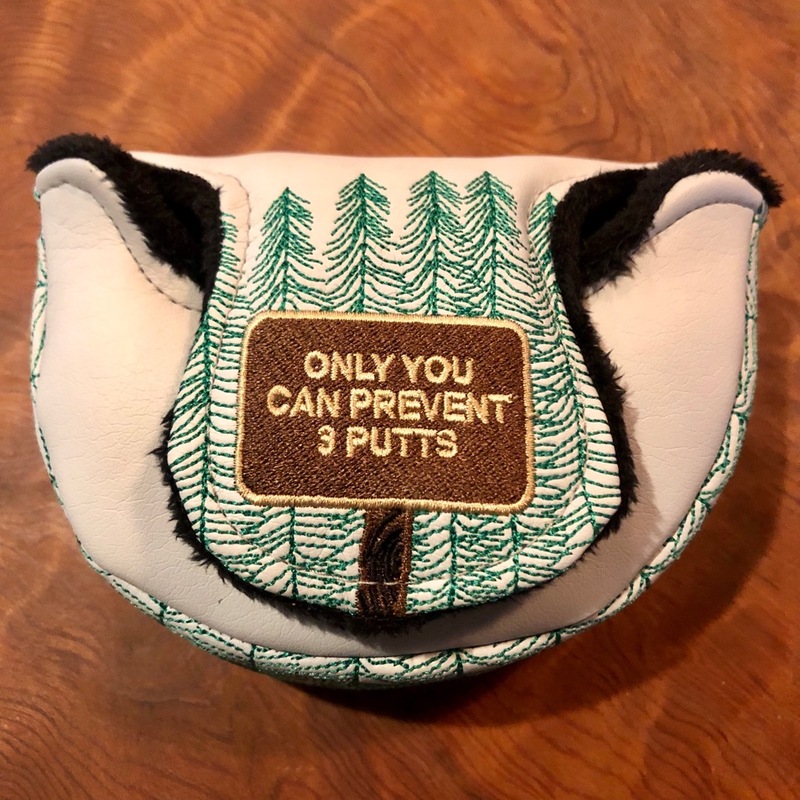 – Designed and Sewn in The United States of America.